You can trust Dr. Hastings and the rest of our team in Boise, ID to help you find the best way to replace your missing teeth for a better smile and a better life! Here are just three important reasons you should replace missing teeth! The first thing people will notice if you’ve lost a tooth, obviously, is the way it affects your smile. It’s embarrassing for you, and distracting to the people you interact with. A visible gap in your smile is going to inevitably wreck your self-confidence. That means you start to retreat socially, and even perhaps professionally and romantically, simply because you’re ashamed of your appearance. By replacing missing teeth with either a dental bridge or dental implants at Times Square Dental, you’re preserving your beautiful smile. Our replacement options look just as natural as your other remaining teeth so that no one will notice your dental work. This will help you maintain the confidence and courage you need to live the kind of life you want and deserve! Any time a tooth falls out, that empty space becomes a breeding ground for bad bacteria. In a domino effect of consequences, that area of your jawbone and gums will start to deteriorate. 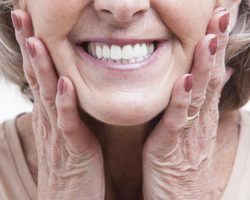 Once that happens, the deterioration spreads like wildfire, and then your supportive structures weaken and threaten the strength and stability of your remaining healthy teeth. In other words, one tooth lost will lead to more tooth loss if you don’t fill that empty space with a replacement tooth. For a single missing tooth, a dental crown and bridge is a great option for most patients. It’s simple, affordable, and effective in preserving all your teeth and your beautiful smile. If you’ve lost more than one tooth, you may want to consider dental implants, which are like new roots for your teeth because they’re placed inside your jaw and attach to your natural jawbone. This method is as close to a real tooth replacement as you can find today and is the most successful way to keep all your teeth, and your oral health, intact. We often take for granted what our teeth allow us to do until we face tooth loss. Even one missing tooth can put your nutrition, and thus your health, in jeopardy. That’s because a loose or missing tooth will force you to modify your behavior, chew your food on the side that’s most comfortable, put undue stress on other teeth, and limit your choices for healthy, nutritious foods. Replacing a tooth or several teeth is the only way to maximize your dietary options and preserve your overall health because you’ll be able to still chew all the healthy, nutrient-rich foods you love comfortably and confidently. When you visit Times Square Dental for a tooth replacement consultation, Dr. Hastings or Dr. Dial will sit down with you to talk about all your options. We’ll help you find the one that works best for your dental needs, smile goals, and your budget. You can count on us to give you the best dental care comfortably and affordably so that you walk away healthy and happy!